Watch this episode to see Seth Harker and Chase White work on doe management. While they are working on arrowing the does, antlers come into range! Then in Iowa, watch Pro Staff Ryan Arnevik and Rory Heims as they have an amazing bow hunt, taking 4 does in about an hour! Everyone loves jerky! Tracy has another great tip showing how you can share more of your venison with tasty homemade jerky. 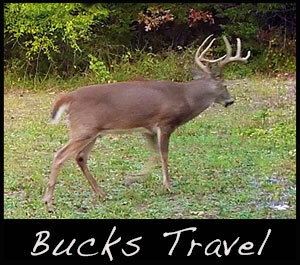 Mature bucks, if not already, will soon be actively chasing does. Spend your time hunting favorable travel corridors. Great chance, Mr. Big will be coming through.